ST. JOHN (CBS USVI) — CBS USVI has been over to St. Thomas and St. Croix for early voting, next up was St. John. A lot of people came out for early voting which began on Saturday October 20 and went until Tuesday October 23. 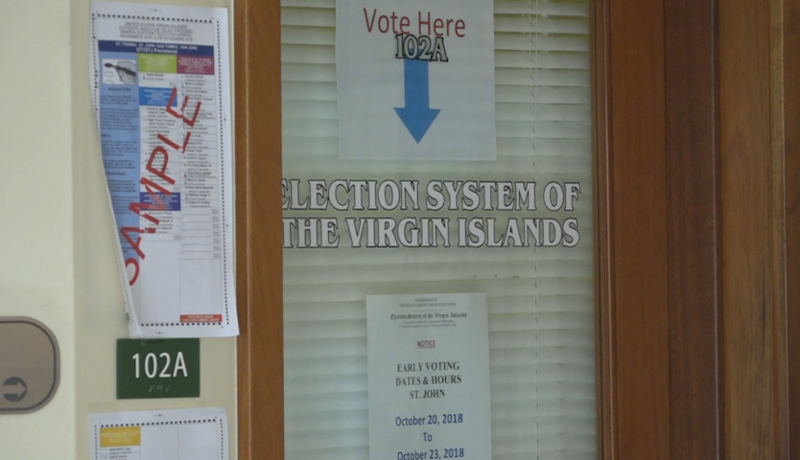 Election System officials tell CBS USVI 55 people came out to vote on Saturday, the first day of early voting. They saw 30 voters on Sunday. “This is a year that we’re trying to rebuild from two category five hurricanes that we experienced last year and with all the federal money coming in we need to make sure that we have the right people in place to spend the money and do it right,” Ian Samuel, one of the voters said. “Just ecstatic because for once we had more voters registered in the district on St. John than any other place in the territory and that’s good. And we’ve had an average of 55 or more voters per day for early voting which is wonderful,” Alecia Wells who serves on the Board of Elections said. “It’s really important that people get civically engaged. As an organization we truly believe that the more active people are in different parts of their community the better off the communities going to be,” Ryan West with Love City Strong added.